Surprisingly, the origins of Hair Transplant Surgery (or Hair Restoration Surgery) lie further back than one might expect; over half a century ago! However, the methods used for this surgical treatment closely resemble many of those used today… Fascinating! Hair restoration is the replacement of hair that’s been lost. Causes of hair loss may be down to family history; accidental from trauma, burns or surgery; dermatological from scarring and non scarring alopecia’s; or self inflicted from eyebrow plucking, traction alopecia or compulsive hair-pulling. In most cases hair loss is inherited, which means it’s passed down from one or both of your parents. 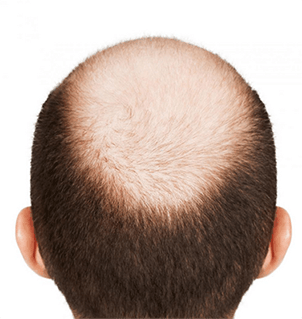 This is called male pattern hair loss and female pattern hair loss. Because of the psychological and physical results of hair loss, the search for a solution sparked the evolution of flap and graft surgery, scalp reduction surgery, strip follicular unit transplant surgery (strip FUT) and follicular unit extraction surgery (FUE). Both FUT and FUE techniques of hair transplant surgery are available at our clinic with our specialist hair implant and hair transplant surgeon; Dr Ezequiel Panno. Early flap and graft procedures performed by Indians (in 700 BC) and in Europe (in the 1700’s) using forehead flaps and forearm flaps, were the ancestors of the Juri (temporo-parietal) flap. The Juri flap was once commonly used for hairline restoration in burn scars and receding hairlines but had devastating long term aesthetic consequences if male pattern balding occurred behind the flap. Similarly, a long full thickness hair-bearing skin graft strip, if it survived, was an alternative technique that would produce a temporarily acceptable hairline. However, this would be unlikely to have had a long standing aesthetic benefit if the hair loss progressed behind the graft. Scalp-reduction surgery seemed the next sensible progression after conquering reconstruction of large post traumatic and post-surgical hair defects, and at the time it was popularised, was considered an easily performed surgical procedure for treating advanced male pattern hair loss. The benefits included the reduction of the bald area; however, often created an unnatural anatomical result. This form of surgery also came with major complications due to the excessive tension of the wound closure, which included tissue necrosis and widened scars. Separate, innovative techniques were introduced to avoid stretching of scars but there was usually a stretch-back tendency that resulted in the remaining bald scalp expanding again, counteracting the initial purpose of the surgery. The Japanese dermatologist Sasagawa, in 1930, reported his experiments on the implantation of hair shafts into the skin. In 1943, Tamura implanted grafts of only one to three hairs that he harvested from strips of scalp skin. These experiments were unknown in the Western world until early 1950’s. In the 1980’s, Carlos Uebel in Brasil and others in the USA becan smaller micro-grafts, with fewer hairs for strip FUT procedures. In 1988, Bob Limmer described that hairs grow in follicular units (groups of 1-4 hairs) and that these grafts produced more natural results than ones from the coarser mini and mirografts, and resulted in the era of modern strip FUT procedures. Also originating in Japan, FUE surgery started in 1939, when Akuda described a method using islets of skin measuring 2mm to 4mm to reconstruct eyebrows and moustaches in burn victims. The father of hair transplant surgery is often named as Norman Orentreich who worked in New York and in 1959 published a decade’s worth of work. He used a metal cylindrical punch to take out grafts from the occipital scalp region and used the same cylinder to create recipient sites, into which he transplanted the grafts. Surgeons used this technique to try and thicken thinning hair. Since then we have learned that those results were not long-lived. Thankfully, we now have modern hair transplant surgical techniques to reconstruct any aesthetic disasters. Japan returns to FUE again in 1988 to refine the technique. Dermatologist Inaba described using a 1mm needle to extract follicular units. This was successfully done in the west, first in Australia, by Ray Woods in the late 1980’s and formally described in medical literature in 2002. Modern FUE grafts are just very refined small plugs. To summarise, the evolution of hair restoration surgery for male and female pattern hair loss has progressed from open flap based procedures to less invasive hair transplant based techniques. The procedure has become more refined, using smaller grafts from the 1960s and 70s to result in the modern era of follicular unit grafts by either strip FUT or FUE methods. Today’s hair restorations surgery for male and female pattern hair loss is almost exclusively hair transplant based, entirely natural looking and almost undetectable if patients are selected carefully and transplant designs incorporate the possibility of future hair loss . Both the strip FUT and FUE methods have advantages and disadvantages that will be explained during your free consultation. If you’re interested in receiving a hair transplant, call us on 01708 225555 or contact us to book your free consultation with Dr Ezequiel Panno.